The European aerospace and defence giant Airbus would reconsider investment in the UK in the event of Britain leaving the European Union. Paul Kahn, president of the 16,000-employee Airbus UK, said Britain must compete for international investment. “The best way to guarantee this is by remaining part of the EU,” he said. 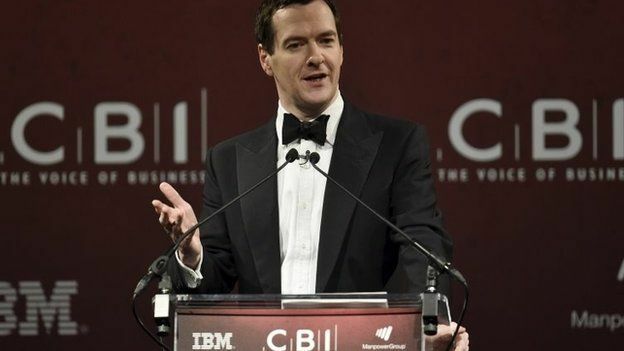 Earlier, Chancellor George Osborne said in a speech to the CBI employers’ group that he wants the UK “to be in Europe, but not run by Europe”. Prime Minister David Cameron has promised a referendum on the UK’s EU membership by the end of 2017, and the matter has been rising up the political and business agenda. On Monday, the chairman of construction equipment firm JCB said the UK should not fear an exit from the EU. And on Wednesday, the president of the CBI, Sir Mike Rake, said businesses should “speak out early” in favour of remaining in a reformed EU. Mr Kahn, speaking to the BBC’s industry correspondent John Moylan, said that with a UK referendum on leaving the EU perhaps less than 18 months away, companies like Airbus needed to be at the forefront of the debate. “I believe that it is vital for a company such as Airbus to come out and make a stand in favour of Britain remaining in the European Union,” he said. Airbus, the world’s second-largest planemaker after Boeing, employs 6,000 people at its site at Broughton, north Wales, where it assembles the wings for all Airbus aircraft. Several thousand more people are employed at Filton, near Bristol, designing wings and testing landing gear. He stressed that if Britain were to leave the EU, the company would not suddenly close. Airbus is one of Europe’s biggest industrial enterprises spanning civil aviation, defence and space, with operations in Germany, France and Spain. If Britain were to leave the EU Mr Kahn suggested the company could face more red tape in areas such as work visas and trade barriers. His comments came on the day that Mr Osborne told business leaders at the CBI that the government would be fighting for a reformed Europe. He acknowledged in his speech that some businesses might “want us to leave the EU come-what-may. And there are also those, including some in this room, who want us to go further into a more federal Europe”. But the chancellor said: “Our position – which I think is shared by the majority of British people and a majority of British businesses – is that we want Britain to be in Europe, but not run by Europe. “The problem of making the single currency work is inevitably drawing its members toward ever-closer integration. We don’t want to be part of that integration. Europe, he said, had “priced itself out of the global economy” with a raft of rules, regulations and red tape.